MK Ofer Shelah, chairman of the Yesh Atid faction, called on the State Attorney's Office not to appeal the decision to release Ehud Olmert. "Ehud Olmert broke the law, was convicted, and sat in prison. According to the same law, the Parole Board decided to shorten his sentence by a third. From the behavior of the enforcement authorities in the matter of the book written by Olmert, and that having to do with shortening his sentence there emerges the scent of wrongful persecution, even against someone who betrayed his high position. I call on the State Attorney's Office not to appeal the decision and allow Olmert, who served his sentence, to be released to his home according to the committee's decision," MK Shelah said. The parole board ruled that Olmert is to be released this Sunday, but the prosecution has requested to delay the release to allow time to decide whether it wants to appeal the decision. In turn, in response to the request, the parole board has called on the prosecution to announce today whether it will appeal. 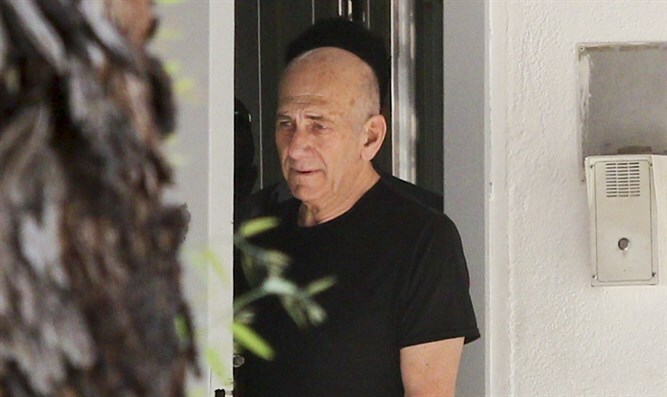 Earlier this week, Olmert was released from the Sheba Medical Center in Tel Hashomer and returned to the Maasiyahu prison, a week after he was evacuated to the hospital due to chest pains.